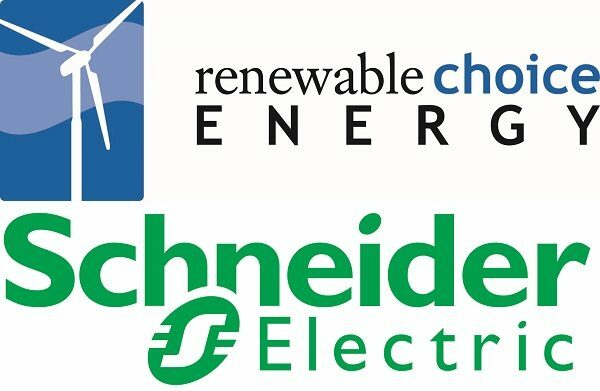 Schneider Electric, the global specialist in energy management and automation, announced in March 2017 that they’d acquired Renewable Choice Energy. Renewable Choice Energy is a leader in helping commercial, industrial, and institutional clients navigate their clean energy purchasing options. The acquisition further enhances Schneider Electric’s existing position in the rapidly growing renewables market as pointed out by Steve Wilhite, Senior Vice President of Energy and Sustainability Services, Schneider Electric, quote: “Together, Schneider and Renewable Choice are the clear industry leader for clients looking to diversify their overall energy strategy, while providing critical sustainability and risk mitigation benefits via clean energy solutions”. It bolsters Schneider Electric’s advisory services for power purchase agreements (PPAs), in which clients procure clean energy directly from large-scale renewable energy projects, and will aid clients in the implementation of other innovative clean technology solutions. Renewable Choice has been a pioneer in the industry, connecting organizations to renewable energy and carbon reducing technologies since 2001. The deal got a huge thumbs up along with a shout-out to the 193 A List companies pushing Green Energy, to quote CDP’s chief executive officer Paul Simpson says: “We congratulate the 193 A List companies that are leading the charge towards our low carbon future. Companies are key actors in enabling the global economy to achieve its new climate goals, and the leadership of this group points the way for others to take bold action and capitalize on the many opportunities that await”. Working with over 160 of the Fortune 500, Renewable Choice’s clients have added over 1,000 megawatts of new wind and solar capacity to the global grid. The company has been repeatedly recognized for its market leadership by the Department of Energy, the Environmental Protection Agency, and the Sustainable Purchasing Leadership Council, among others. They seem pretty happy with the acquisition, pledging to work with Schneider Electric’s to manage the process of going Green, to quote Pete Dignan, CEO of Renewable Choice: “We are pleased to become an integral part of Schneider Electric’s Energy & Sustainability Services (ESS) team, which dramatically increases our global reach, and diversifies the ways in which we can help our clients. We will continue to work with clients to buy clean energy more strategically, and with Schneider Electric’s additional capabilities, we can also help clients use that energy more efficiently, and become more sustainable anywhere around the globe”.